Such a simple concept, yet one that we Americans often forget about with the easy availability of tons of off-the-rack clothes. It is not something that has been forgotten about in Cameroon. 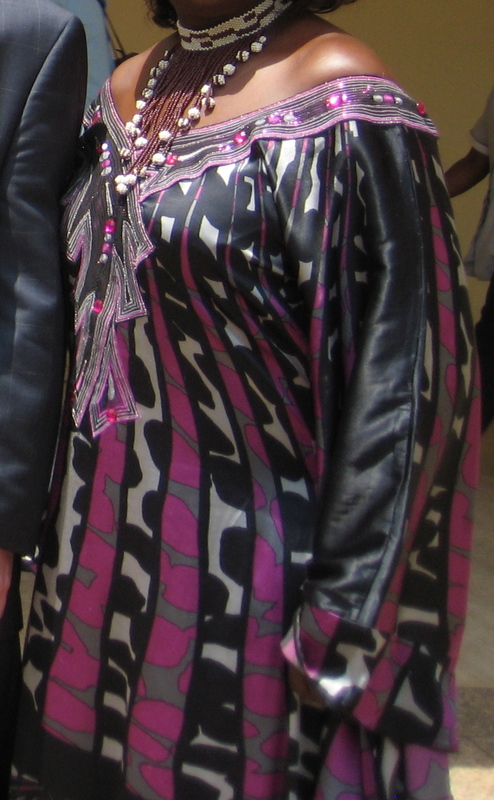 The women in Cameroon come in all shapes and sizes, just like anywhere else. What sets them apart is their love of bright patterns, and beautifully tailored clothing. I think that if more women around the world (and I can include myself in this, as I am guilty of never having anything tailored hardly ever – with the exception of the hemming of pants, which is necessary when you are vertically challenged) understood the value of having things made to fit. Now, perhaps it is because you can find a cheaper tailor in Yaounde than you can in New York City, but nonetheless, the clothing worn by women in Yaounde fit their owners beautifully. Now, what I couldn’t really get a sense of, due to the short length of my trip, was casual style versus formal style. I suspect that many of the pictures I was able to snap may have been of people dressed a bit more formally than they normally would due to the fact that I was meeting these people in a work context. But regardless, the clothing they wore was simply beautiful. Well, perhaps “simply” isn’t the right word, as their outfits often involved intricate patterns, special embellishments, and definitely-not-cookie-cutter designs. I had trouble stopping myself from outright staring in wonder at the beauty of some of their outfits. I am, after all, a fashionista at heart, though sometimes I do get lazy, and my own personal style tends more towards the comfortable than the fabulous. 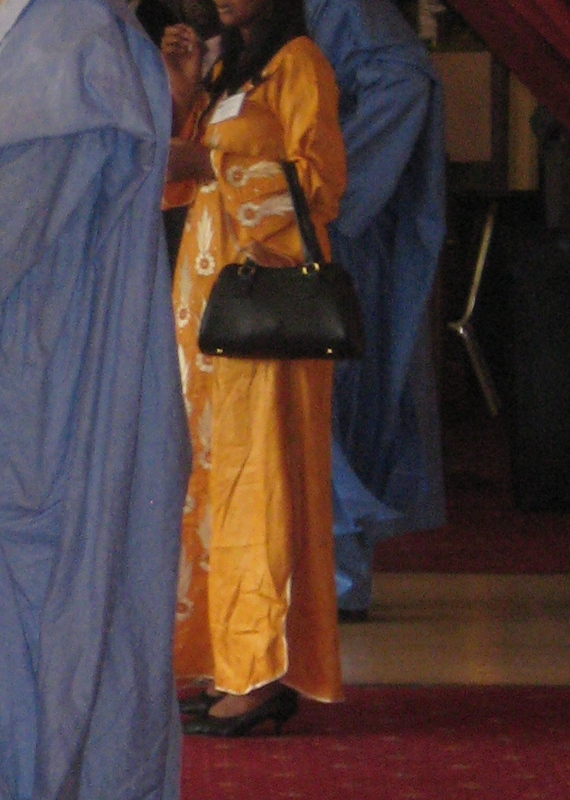 Nonetheless, I can appreciate good style when I see it, and in Yaounde, it was all over. Another thing that sets African women apart from many of us from other parts of the world is the fact that they don’t have the fear of color that westerners seem to have. 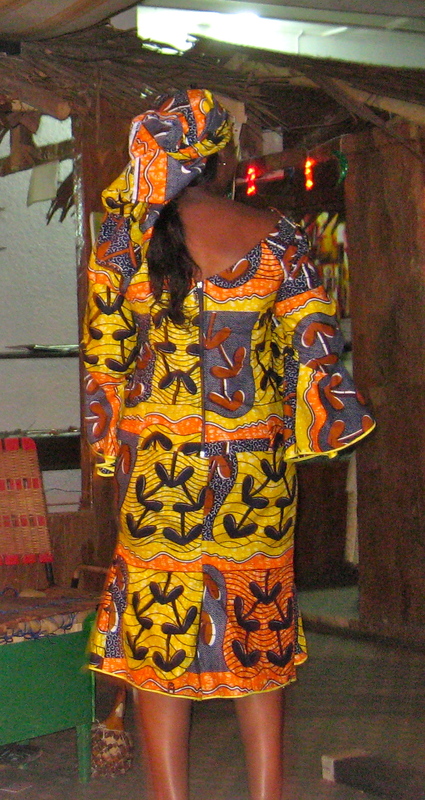 Whether it’s a western-style suit, or a traditional wax-print African fabric, women in Cameroon as well as other parts of the continent I have visited embrace color. Now, like many of us from the Northeast US, I admit to having a much more simple style. I like the basics and classic cuts, and I am more likely to buy something in black than in any other color. Not only that, but when I say “basics” I mean that I often shy away from patterns, favoring solid colors, though for work clothing I love a nice pinstripe. And even when I do take a chance on a wilder pattern or a brighter color, the design will be more simple and I will likely pair it with something black, white or gray so as to make the outfit on the whole not “too much”, and keep it from getting “too busy”. 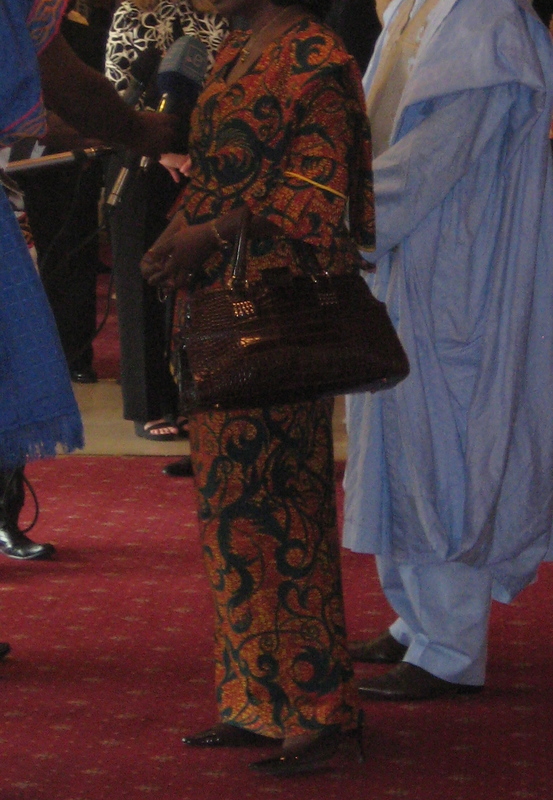 Women in Cameroon definitively did not limit themselves in this way – even remotely! Bright colors, wild & busy patterns, style and flair galore! And, surprisingly (at least to me), even when an outfit had bright colors, bold patterns, fabulous embellishments or design AND was paired with big jewelry, it never felt like “too much” to me. It just somehow all worked, and looked fantastic. Now, I feel I’ve said enough, and that the best way to share the experience is to post a few more pictures, so I’ll sign off, and do just that. Enjoy the beautiful fashion!